For those who don't know, I am a huge Transformers fan, especially G1 stuff. Transformers Generations series of figures are basically re-imagined figures based on original 80's toys. 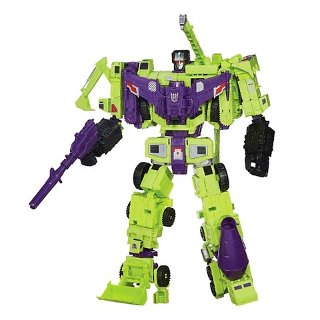 Devastator is one of my all time favourites, so I had to own this new 18" model. He now sits next to my computer, in my basement.